Unfortunately for the Belgian defender, instead of having an impressive season, it was more like a disappointing and mediocre season as Thomas Vermaelen missed out on 17 matches due to injuries which continue to hamper his playing career. 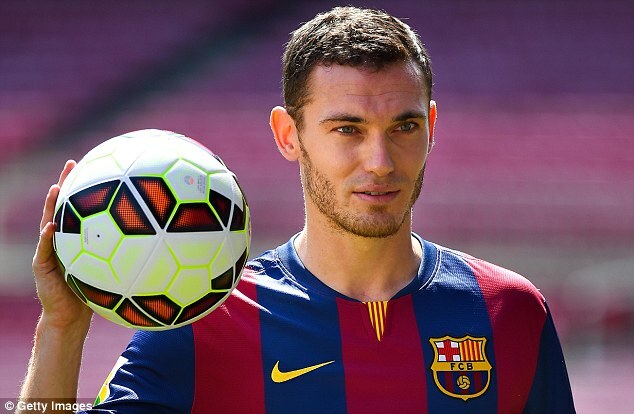 Understandably, Roma chose not to extend the contract of Vermaelen and he is now expected to make a return to his parent club, Barcelona. It’s a real shame, because he had arrived at the Stadio Olimpico with high hopes that he could re-establish himself as one of the best defenders in Europe, but it never quite worked out for him, with Roma’s continued campaign for the Serie A title (they are second and second favourites for the title accorind to the bettig gurus at Betting Tips 4 You) but their continued good form, and the pressure they are under to win matches, has meant that Vermaelen has struggled to get a hance in the first XI. When Thomas Vermaelen does go back to the Camp Nou, it’s very dubious and uncertain if he will get into the 1st team of the club as he has traditionally struggled trying to get consistent playing time in Barcelona. He has either been on the sidelines as an unused substitute in Barcelona or just unable to play at all due to injuries. At the age of 31, Vermaelen has to seriously start to consider where he wants to spend the remaining years of his playing career and Barcelona is probably not the best place to do that as his chances of getting consistent playing time might be even more limited than before. A new coach coming in once Luis Enrique quits, is undobutedly going to want in a few of his own players too. There are rumors that are being spread around involving Liverpool with a possible summer move for Thomas Vermaelen and also considering his elevated age, the MLS is another realistic option that the Belgian should start to consider if he wants to end his playing career on a high note and not just have to sit on the bench. Next Next post: Is Vermaelen Still Capable of Holding Down a Spot in the National Team?